In a world that is constantly evolving and reaching new heights in technology, it’s no wonder that hearing aids are soon to help wearers become more interconnected with the digital world. These new innovative digital platforms are groundbreaking, and proves that the technology train is not far behind in the hearing aid industry. 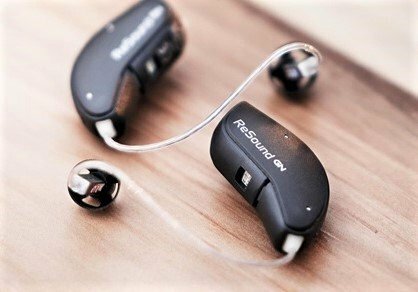 In fact, ReSound has designed one of the first smart hearing aids integrated with AI technology to be paired with Apple’s voice assistant: Siri. On top of being able to adjust your hearing aids to your certain listening situations through simple voice commands, the LiNX Quattro also has AI technology integrated into the hearing aid platform. This means that smart technology is working with your hearing aid to track and monitor your listening preferences through various sound environments. Over time, the hearing aids will be able to adjust automatically to various sound profiles, making your listening experience more seamless. The ReSound LiNX Quattro’s are a game changer within the hearing aid industry. ReSound is also a partner with Google, so we can only wait to see what comes next from them. In fact, Google is currently working with ReSound to create an android platform for hearing aids! If you feel like the LiNX Quattro could be the perfect solution for your hearing needs, please contact us today to schedule an appointment to speak to one of our experienced audiologists!